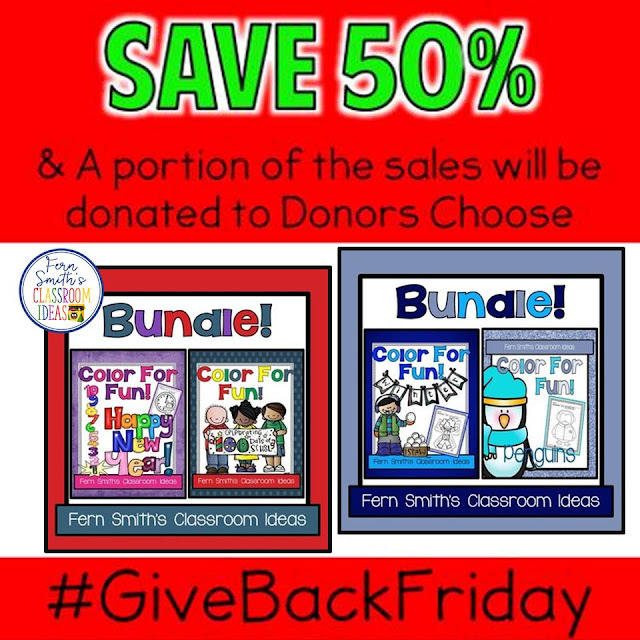 #GiveBackFriday 50% Off at TeachersPayTeachers - Fern Smith's Classroom Ideas! I'm joining up with some other Teacher-Authors today and donating the profit of the sale of these two items to Donors Choose. will be 50% off tomorrow to help you with your New Year lesson planning! Once at TpT you can also use the search feature using #GiveBackFriday to see the other great items! Were you able to get this week's free PERK? Click here for more details before it goes back to being a paid resource.